Flower Big was the first alternating-current and rotating-body model manufactured by Ercole Marelli. Produced for only 5 years and replaced by the 4-bladed Taj model, it is nowadays considered quite rare. 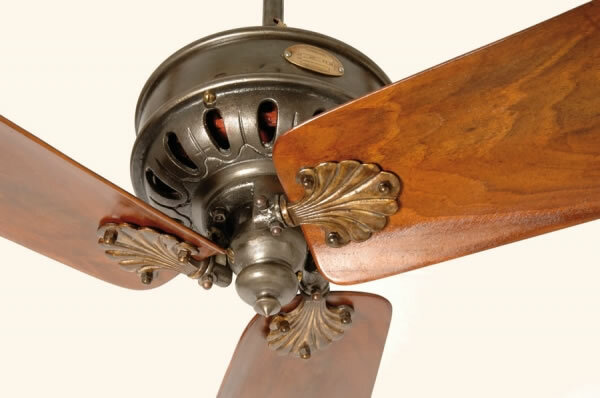 Ascribable to the highest and most elegant expressions of Art Nouveau, this fan was technologically very advanced for its time. Endowed with a very powerful and reliable engine, it is still able to move a substantial air flow. These results are also due to the variable pitch of the blades which, allowing a change of tilt, can be extremely efficient, without being of excessive dimensions. 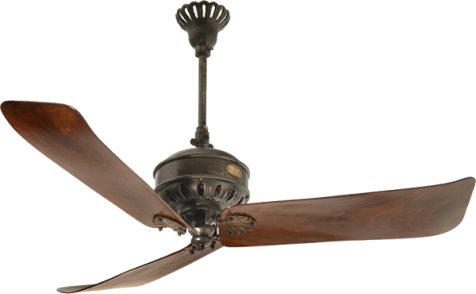 Fantique is basically the sole distributor of this model, having bought out from a Calcutta Hotel all the pieces still around.